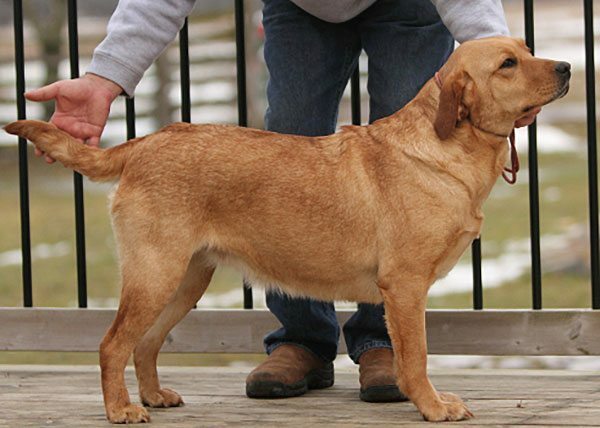 FOX RED is another shade of yellow, the AKC AND CKC recognizes three standard colours for registered Labrador show dogs, BLACK, YELLOW, and CHOCOLATE. Yellow can range from cream (almost white) to as dark as Fox Red. 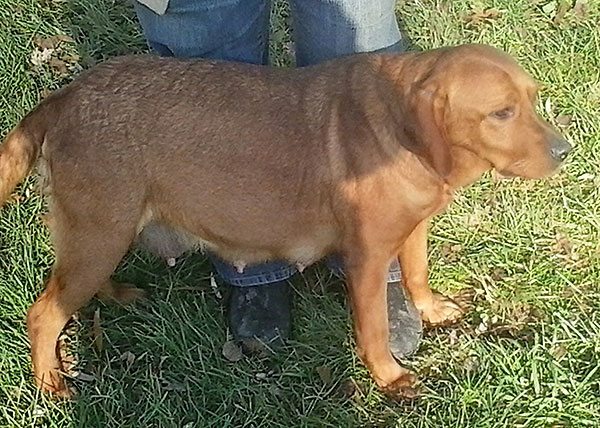 For some years now the shade of fox red has become rare because a lot of Labrador breeders are keeping and breeding lighter shades of yellows, and puppy buyers are loving the lighter shades. Well for me, that has always loved the shade of red and have always said that some day I would have one. 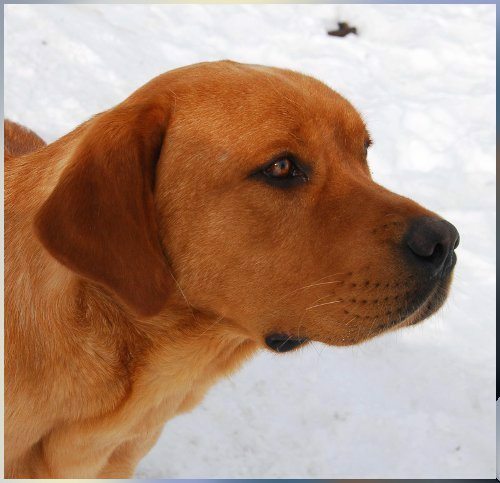 I finally decided that when I lost my dear Brady in the spring of 2009, he was a dark yellow or light fox red, it was time to get my Fox Red. Of course I knew I wanted a very dark red and had that shade in mind. 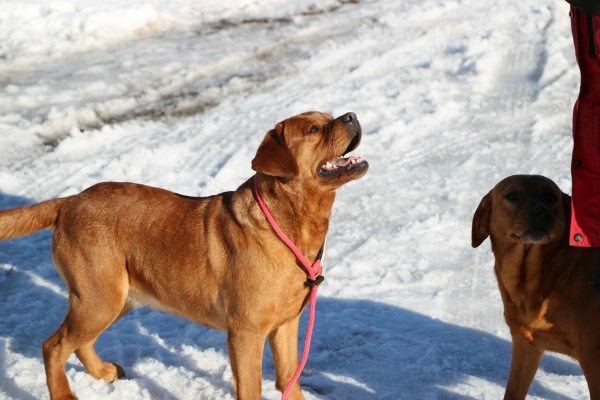 I had read about Wynfaul Tabasco in my Labrador books and I had seen pictures of Balrion Red Alert and Kelleygreens Kardinal. 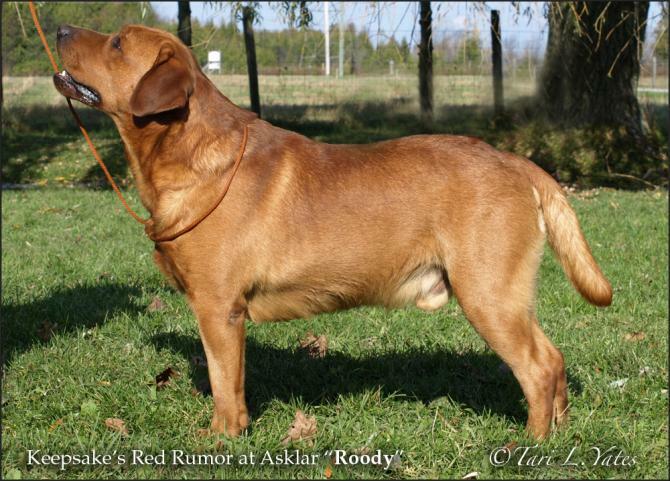 I had seen some of Keepsakes Reds at dog shows and with that I contacted Judy from Keepsake Labradors and purchased my first Fox Red, which is Keepsake’s Red Rumor At Asklar (Roody). 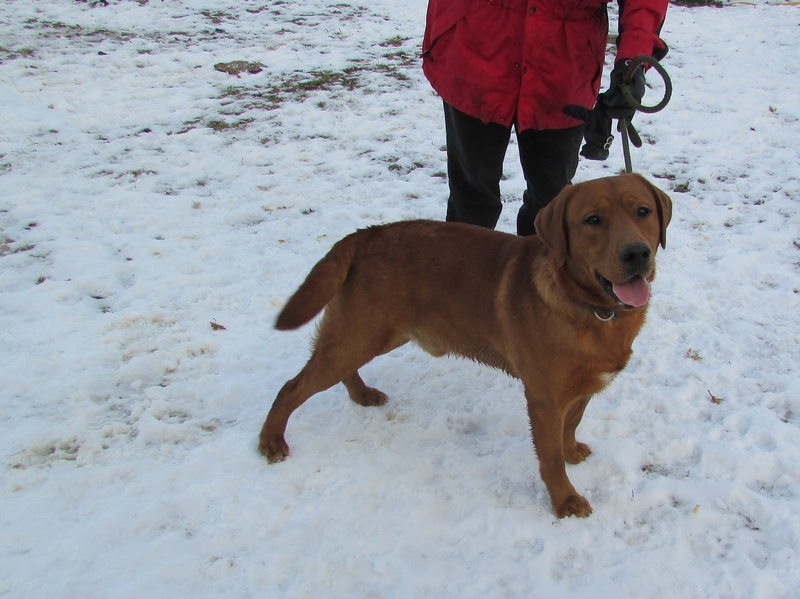 I am very excited to have Roody here at Asklar and thank Judy and Josh of Keepsake for helping make that happen and allowing Roody to come and live here at Asklar. He has become an important and loving part of my breeding program. 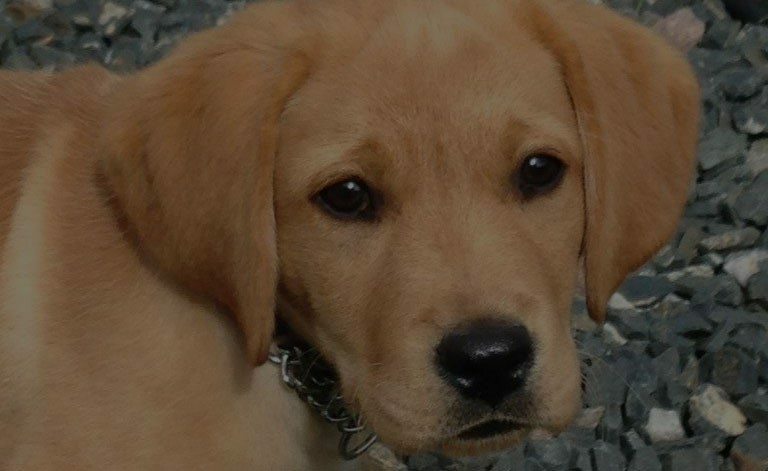 I wish to keep this wonderful shade of yellow in my program and have a new project to be proud of and work to strengthen and keep the red shade, our oldest and original shade of yellow Labradors. 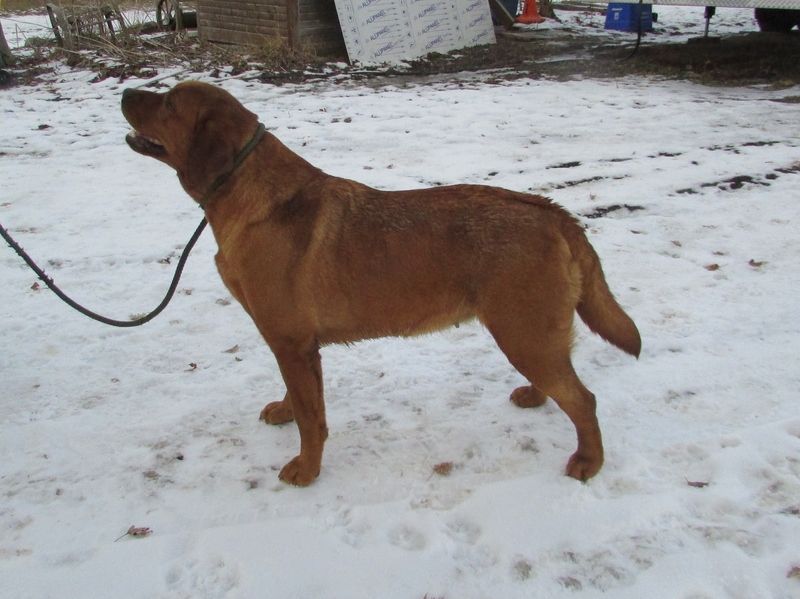 Asklar’s Red Dawn, is another keeper from 2016, her mom is our Canada and her dad is our Simon, Dawn is beautifully put together, we are so excited that we repeated this litter for 2017, Dawn is maturing very nicely,some informal pictures added Jan 2018. She will be bred for fall 2018.